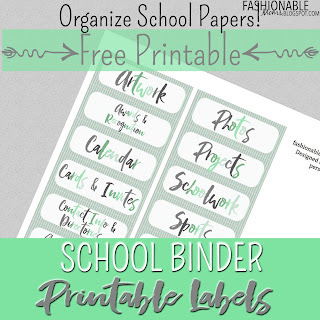 My Fashionable Designs: Free Printable: School Binder Divider Pages! 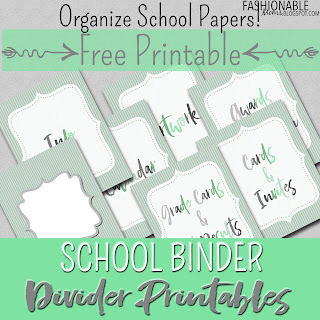 Free Printable: School Binder Divider Pages! With back-to-school just around the corner (August 17th for us, yikes!! ), I wanted to share some printable divider pages to help organize all those school papers!!! All you'll need is a 3-ring binder, some page protectors and these printable pages and you're set for the year! OR....if you'd rather use folders or an accordion file, here are some labels for Avery 5160! 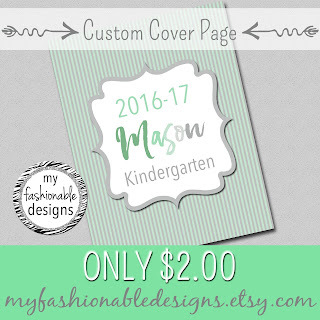 I'm also offering a CUSTOMIZED COVER PAGE to my blog readers for only $2.00 in my Etsy shop! It also includes an additional custom page, you choose the text! My 20-Year High School Reunion!